Beautiful You: My Christmas Duo | MAC & Tanya Burr Cosmetics! My Christmas Duo | MAC & Tanya Burr Cosmetics! I haven't done a beauty post in so long so I thought that I would put one up today. I've been really stuck for ideas but I have been loving this combo recently so I'd thought I would share. If you don't like bold lips then this post probably isn't you for but I love being daring with my lip colour choices! When I heard that Tanya was releasing more colours I was so excited because I really love the formula of her lip-glosses and this colour is perfect. 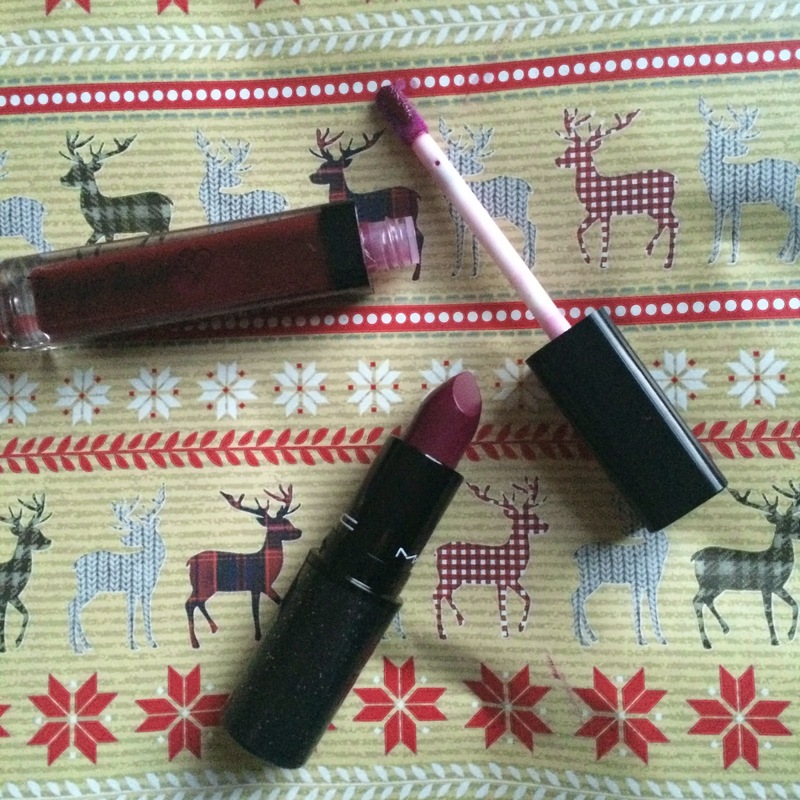 It is called Enchanted Forest and it is a deep purple/plum colour which I have been wearing all the time at the moment. Then the second product that I have been loving is MAC's Rebel lipstick but I've got the Heriloom Mix version. It is the same colour but they have bought out for Christmas where they are in different packaging. Instead of the normal plain black bullet packaging of the lip sticks they are black with glitter in them! I just thought that I would share this perfect combo with you all, what have you guys been loving this Winter? Any new favourites or have you been sticking to something you know? Let me know in the comments below as I love trying out new lip products! I shall see you all on Friday for the next instalment of #CountdownToChristmas! The new colour looks amazing! Definitely treating myself to that before Christmas!